We recognize that prescription glasses have become a unique fashion accessory with many well-known fashion brands entering the fashion eyewear marketplace every year. Today designer prescription eyeglasses are hot whether from the European eyewear fashion houses of Fendi and Gucci or from American brands like Gant, Hugo Boss, Nike, or Calvin Klein, among many others. Our first case is Silhouette Eyewear, which presents the Eyewear´s Crystal Collection. This line features elegance and sophistication through thinner frames, some styles are even rimless. This collection is a well-known reference for this tendency of eyewear. Added to the fashionable looks of the collection, every frame is made out of high tech titanium and SPX, and they present Silhouette’s proposition for rimless, hingeless, and screwless styles. These frames can satisfy the most extravagant and the most conservative users. In our second case, we present the case of Activist Eyewear. The sun and ophthalmic collection by Activist debuted with the objective of redefining high performance. These collections feature new technologies such as Activizm polarized lenses, and Split-fit temples. Both of these technologies provide comfort to the customers, by creating a different feel of the frames on the face. Every frame is design in Brooklyn and manufactured in Japan using top quality materials such as surgical stainless steel and beta titanium. 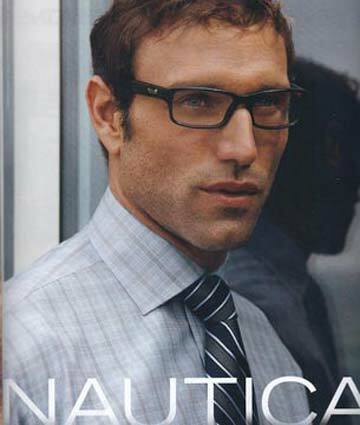 The fashion / eyewear industry provides customers many reasons to wear glasses, either as regular glasses or sunglasses. In many cases glasses are the accessory that helps define a person’s fashion sense and / or personality. Both television and Hollywood’s movie industry have created countless memorable characters whose glasses added an element of mystery, menace, intellectual brilliance, madness, “plainness,” etc. to their personalities? At Eyeglasses.com we carry such an extensive line of glasses, you can easily change your look to whatever suits your mood. It’s quite astonishing how an accessory like eyeglasses can define a character whether it’s a cartoon character like Peter Griffin Sr. the title character of Family Guy or Milhouse Mussolini Van Houten who is Bart Simpson’s best friend to Urkel, the character on the ABC/CBS sitcom Family Matters or Hiro Nakamura from the fantasy TV series, Heroes. Would Clark Kent from Superman fame or Keanu Reeves and other Matrix characters remain as memorable without their dark sunglasses? Clark Kent's glasses defined him as a wonky nerd, whereas Neo's and Morpheus' glasses gave them an impenetrable air of mystery, determination, and a hint of menace. In the Matrix poster for the first movie, all the characters are wearing what is now frequently referred to as “Morpheus” sunglasses. And would Hollywood be Hollywood without movie stars wearing frequently large oversized sunglasses? Without a doubt the right glasses can cultivate an image, a look, and a persona. It's no wonder people all over the world exuberantly embrace wearing glasses as a fashion accessory beyond the immediate need for functionality. If you can’t see without glassese, you most likely put them on as soon as you awaken. And they remain on until it’s time to go to sleep. Unlike jewelry, shoes, clothing, or other wardrobe accessories, the majority of people who need glasses for their functionality wear the same pair of glasses everyday. Someone may own several or dozens of pairs of shoes to choose from depending upon their outfit or activity. For those of us (even at Eyeglasses.com) who need prescription eyeglasses, we don’t own a half a dozen glasses to choose from to compliment a particular outfit. However, owning only one pair of glasses can result in inconvenince if the only pair of glasses is lost or broken. Stumbling around until purchasing a new pair of glasses is not an option you want to experience. And with the great prices you'll find at Eyeglaases.com it is certainly not necessary. We suggest always having a second pair of glasses as a backup. Perhaps when you choose the frames of your “backup” glasses you should select something different, giving you the option for a new look. Eyeglasses.com offers tools to enable you to make your own eyewear decisions. Visitors can text search, advanced search, browse by brand or category, model, size, and color. Eyeglasses.com is not a discounter site and we do not price match, although our prices are usually much lower than prices from retail stores. In addition, we do not accept insurance. You can order your frames through us and then take them to your local eyeglass store where an optician could install the prescription lenses. If you have particularly complicated prescription this might be a smart move. On the other hand, we do use Essilor, the world's largest and best quality lens laboratory to make all of our lenses. We don’t believe in scrimping on the lenses of the eyewear we sell. Our service quality is what differentiates Eyeglasses.com from all of the other online eyewear companies. With the extraordinary depth of our inventory, customers will find frame designs that vary from classical, to sporty styles, to vintage, modern, and even rimless in numerous sizes and shapes You are able to select frames made from aluminum, tech alloy, titanium, carbon, metal, nylon, plastic, rubber, or wood to combinations. You can select numerous frame shapes from classic, oval, rectangle, round, aviator, cat eye, modified oval or round, navigator, to geometric, and shield frame shapes. Browse through the Eyeglasses.com website for everyday glasses, computer glasses, reading glasses and sunglasses for adults, teens, children and even infants. You can find the perfect pair of eyewear at Eyeglasses.com. If you need a prescription lenses, make sure you have not only the prescription, but also the “PD” Pupillary Distance measurement, which you should request after your eye exam.